Here's a selection of projects by Japanese architects SANAA, who have been named 2010 Pritzker Architecture Prize Laureates (see our earlier story). Top: Ryue Nishizawa and Kazuyo Sejima of SANAA. Photo by Takashi Okamoto. Above: The Rolex Learning Center, Ecole Polytechnique Federale Lausanne, Switzerland (EPFL) - 2009. See our earlier story. The award will be presented at a ceremony in New York on 17 May. Above: The Rolex Learning Center, Ecole Polytechnique Federale Lausanne, Switzerland (EPFL) - 2009. Photographs are by Hisao Suzuki unless otherwise stated. All images are courtesy of SANAA. Captions are provided by the architects. 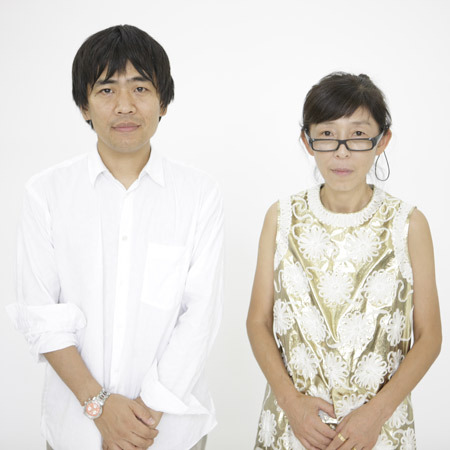 Kazuyo Sejima and Ryue Nishizawa, partners in the architectural firm, SANAA, have been chosen as the 2010 Laureates of the Pritzker Architecture Prize. The formal ceremony for what has come to be known throughout the world as architecture’s highest honor will be held on May 17 on historic Ellis Island in New York. At that time, a $100,000 grant and bronze medallions will be bestowed on the two architects. Above: Floor Plan, Rolex Learning Center, Ecole Polytechnique Federale Lausanne, Switzerland (EPFL) - 2009. In announcing the jury’s choice, Thomas J. Pritzker, chairman of The Hyatt Foundation, elaborated, “This marks the third time in the history of the prize that two architects have been named in the same year. Above: New Museum of Contemporary Art, New York City, New York - 2007. See our earlier story. Above: New Museum of Contemporary Art, New York City, New York - 2007. Above: DeKunstlinie Theater and Cultural Center - Almere, Netherlands - 2007. Upon learning that she was being honored, Kazuyo Sejima had this reaction: “I am thrilled to receive such an honor. I would like to thank the Pritzker (Hyatt) foundation, the jury members, the clients who have worked with us, and all of our collaborators. I have been exploring how I can make architecture that feels open, which I feel is important for a new generation of architecture. With this prize I will continue trying to make wonderful architecture.” And a similar reaction from Ryue Nishizawa: “I receive this wonderful prize with great humility. Above: Zollverein School of Management and Design, Essen, Germany - 2006. I am very honored and at the same time very surprised. I receive and understand this prize as encouragement for our efforts. Every time I finish a building I revel in possibilities and at the same time reflect on what has happened.Each project becomes my motivation for the next new project. In the same way this wonderful prize has given me a dynamic energy that I have never felt before. I thank you very much. Above: Glass Pavilion, Toledo Museum of Art, Toledo, Ohio - 2006. Rolf Fehlbaum, chairman of the board of Vitra in Basel, Switzerland; Carlos Jimenez, professor, Rice University School of Architecture, principal, Carlos Jimenez Studio in Houston, Texas; Juhani Pallasmaa, architect, professor and author of Helsinki, Finland; Renzo Piano, architect and Pritzker Laureate, of Paris, France and Genoa, Italy; and Karen Stein, writer, editor and architectural consultant in New York. The field of architecture was chosen by the Pritzker family because of their keen interest in building due to their involvement with developing the Hyatt Hotels around the world; also because architecture was a creative endeavor not included in the Nobel Prizes. Above: Floor Plan, Glass Pavilion, Toledo Museum of Art, Toledo, Ohio - 2006. Above: Naoshima Ferry Terminal Naoshima, Kagawa, Japan - 2006. Above: 21st Century Museum of Contemporary Art Kanazawa, Ishikawa, Japan - 2004. Above: Christian Dior Building, Omotesando Tokyo, Japan - 2003. Above: O-Museum Iida, Nagano Japan - 1999.